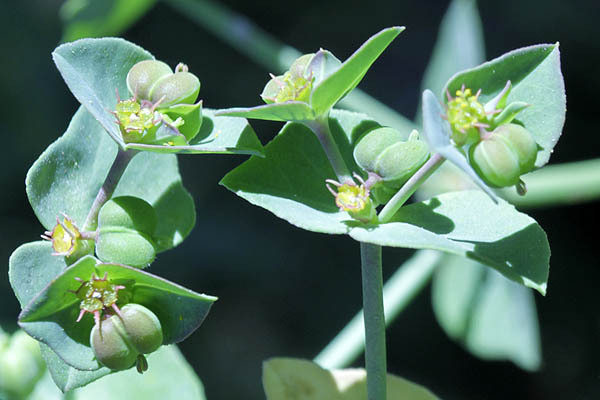 Scientific name: Euphorbia terracina L.
Synonym name: Esula provincialis (Willd.) Haw.,Esula terracina (L.) Fourr. 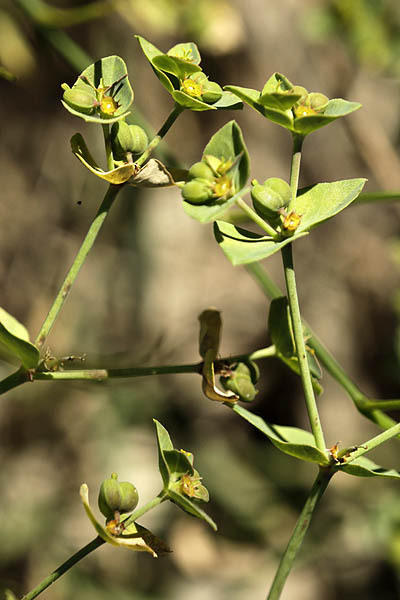 Euphorbia, Εὔφορβος, Euphorbus, after the Numidian physician Euphorbus, physician to Juba II, King of Numidia and Mauretania, about the end of the first century BCE. In classical Greek ευφορβοσ (euphorbos) means well fed. terracina, named after a town in the Campagna di Roma, 76 kilometres southeast of Rome. It is situated at the southern extremety of the Pontine marshes. It was anciently the capital of the Volsci and named Anxur. The greeks called it Trachyna, corrupted into Terracina. Esula, from Celtic esu, "sharp" referring to acrid milky juice. provincialis, from Provence in France. The standard author abbreviation Willd. is used to indicate Carl Ludwig von Willdenow (1765 – 1812), a German botanist, pharmacist, and plant taxonomist. The standard author abbreviation Haw. is used to indicate Adrian Hardy Haworth (1768 - 1833) , an English entomologist, botanist and carcinologist. The standard author abbreviation Fourr. is used to indicate Jules Pierre Fourreau (1844 – 1871, a French botanist. Inflorescence definition Cyathium: a cup-shaped involucre bearing several minute stamens (male flowers) and a pistillate flower consisting of an ovary on a long stalk (pedicel). 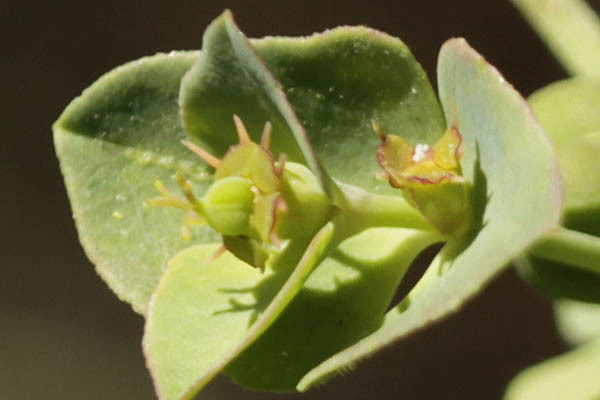 The rim of the cyathium often bears one or more nectar glands and petaloid appendages; this feature is present in every species of the genus Euphorbia but nowhere else in the plantkingdom. 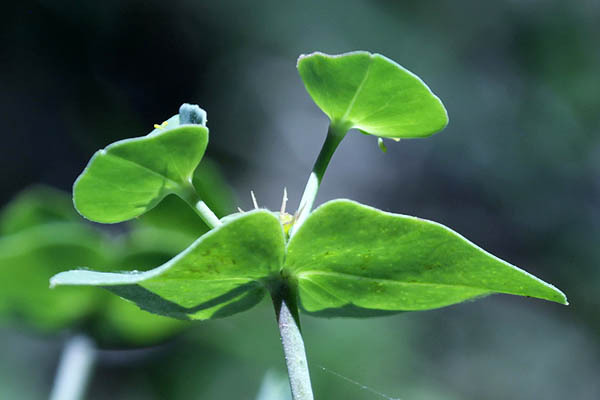 In Saudi Arabia it is used as a Medicinal plant: Medicinal properties and uses: febrifuge. The plant is used as a remedy for fever and paralysis.